Finding a dedicated server hosting provider in Edmonton can often be a challenge due to expensive data center costs and limited carrier options. ServerMania offers the perfect choice for those looking for a Canadian dedicated server at an affordable rate. Our Canadian data center in Montreal, Quebec offers exceptional connectivity to Edmonton and across the country at a fraction of the cost of servers hosted in other Canadian cities. This makes Montreal the perfect choice for enterprise-grade dedicated servers. With 15 minute response times and servers custom built for your needs, ServerMania’s Canadian dedicated servers are the perfect choice for you. With prices beginning at $109 per month, dedicated servers hosted in Montreal, Quebec are an affordable alternative to Edmonton based dedicated servers. Many clients find that ServerMania’s Canadian data center provides superior connectivity and latency across Canada compared to other locations. ServerMania developed its Canadian data center with reliability, performance, and support in mind. These factors are critical for the best dedicated hosting experience and are the reason why people trust ServerMania with their critical business needs. We’re committed to delivering a rock-solid dedicated server hosting experience by offering a 100% uptime SLA in our state of the art Montreal data center. With Tier 1 network providers, these servers are among the best dedicated server hosting options in Canada. ServerMania offers enterprise-grade hardware and custom built servers to deliver optimal performance and reliability. SuperMicro chassis and Intel Xeon processors ensure ServerMania provides the most reliable hardware experience. A dedicated connection is offered on each server for you to remotely connect to the server instantly. Through the use of our innovative control panel, clients can instantly reboot their servers without the need to submit a support ticket. 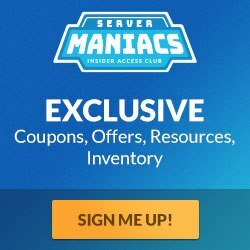 ServerMania offers a 100% network uptime Service Level Agreement through the use of Tier 1 carriers and redundant connectivity. ServerMania can provision up to 256 additional IP’s where required per dedicated server. Our dedicated servers are powered by green hydroelectric energy, a renewable and environmentally-friendly resource that will slash your company’s carbon footprint.